Light, we all need it to see, unless you’re a bat. Everyday lighting for well over the past 100 years (Edison invented the light bulb in 1878) we have relied on the incandescent light bulb. The light bulb is so ingrained in our culture when someone has an idea they say, the light bulb went on. The thing is the ol’ light bulb has gone on in the lighting industry, but it seems few people have seen the light. Beginning in 2012 the antiquated and reliable Edison incandescent light bulb will begin to fade out. Riding off into the sunset, retiring. In 2007 Congress passed the Energy Independence and Security Act (EISA). Then President Bush signed it into law on December 19th of that same year. The new law contains provisions for phasing in more efficient incandescent lamps. The main reason the regular 100 Watt light bulb can no longer be manufactured and sold is quite simply it is too inefficient by the new standards. I think the most confusing thing with regards to lighting, is how it is rated. Watts has always been the measure by which consumers purchase lighting. Watts is a measure of power. It does not measure the light produced. For light the measure is Lumens. A 100 Watt light bulb uses 100 watts of power to produce 1600 lumens of light. A compact fluorescent bulb that produces 1600 lumens uses 24 Watts, less than one quarter the power to produce the same amount of light. Presently there are no LED lights available that produce 1600 lumens, but a comparable “60 Watt” LED bulb uses about 10 Watts. The EISA requirements are to be phased in over two years, beginning on January 1, 2012. 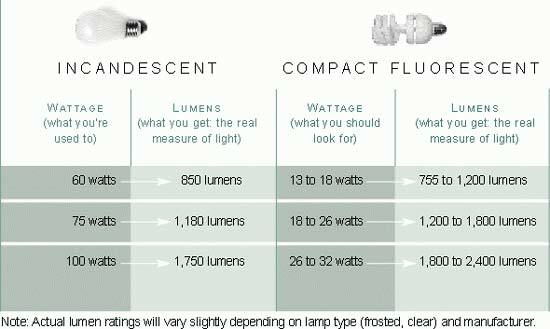 For the same lumen output, the minimum requirements represent a reduction of 25% over the incandescent technology in use in 2007. 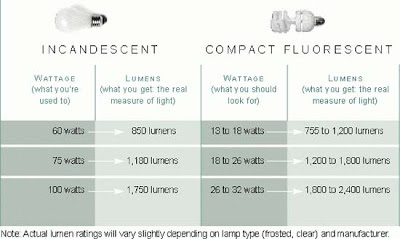 On January 1, 2012 the maximum wattage used to produce 1490-2600 Lumens can not exceed 72 Watts. There is also a requirement for a minimum lifetime rating of 1000 hours included in the regulation. EISA does not effect smaller light bulbs (75 Watts and under) until 2013 & 2014 (see chart). Change, especially when forced is hard. The fact is the lighting that will be available after January 1st produces exactly the same amount of light as the incandescent Edison bulb, but uses much less energy. Sometimes the light we see illuminates the path to a better way. 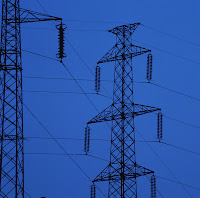 Are the Utility Companies Duping the Public? As everyone is well aware the cost of energy has gone significantly higher in the last couple of years. This has spurred and interest in energy conservation. A little late in my opinion, kind of like closing the door after the dog gets out, but I digress. Because higher energy costs hit everyone where it hurts, their wallet, the utility companies have been forced through public outcry to offer some kind of relief. Now I do not know what is being done or proposed in other states across the nation, I will only be focusing on where I live and work, Connecticut. What has been instituted in Connecticut through the two major electric utilities, Connecticut Light & Power (CL&P) and United Illuminating (UI) is a program titled Home Energy Solutions (HES). This is touted by the utilities as; “A Comprehensive Service to Help Lower Your Energy Bills”. The HES program is funded through the Connecticut Energy Efficiency Fund (CEEF). The CEEF is financially supported by all CL&P and UI customers through the conservation charge on their electric bills and paid for by customers of Connecticut Natural Gas, Southern Connecticut Gas and Yankee Gas. In other words the customers are paying for this service. In essence it’s a give back. The service however is not free, there is a charge of $75 for most customers with the only exception that I’m aware of for Wallingford Electric Division (WED) customers. This program is free for those lucky enough to have WED as their electric provider. The cost of the program is a bargain and I encourage everyone to take advantage of this service with one caveat, do not expect to save much money on your utility bills after the job has been completed. The service may include, followed by a list of energy repairs and upgrades. The most significant and impressive of these is the blower door assisted air sealing. Unfortunately the job is focused on finding big leaks in order to drop the reading a few hundred points. The job performed is in no way complete or comprehensive. The purpose of this dissection of the HES program is to provide understanding to homeowners in Connecticut who are seeking relief on their energy costs. The utility companies are selling the perception that this program will provide a significant and comprehensive solution to homeowner’s high energy costs. This in fact is not the case. My company conducts a service called the Home Energy Tune-uP a comprehensive energy efficiency improvement analysis specific to the individual home. No repairs are performed instead the energy wasting culprits are first identified and then a report is assembled in which each available cost effective energy saving measure is charted. What in effect is presented to the customer is a pin point plan of how and where they can save money on energy in their home. The other and most important aspect of the Tune-uP service is the fact it is performed by Connecticut licensed home inspectors, not contractors (who are not licensed). Home inspectors analyze homes most every day. In order to perform their jobs home inspectors must be knowledgeable on the plethora of components and systems found in a home. As a licensed profession this requires initially obtaining formal training and doing an in field apprenticeship followed by continuing education in order to maintain the license. So are the utility companies duping the public? Maybe a little, but it’s always been caveat emptor, buyer beware. The utility customer should research the program to understand the scope and focus of the service. It is certainly worth while for every utility customer to take advantage of the program. If the homeowner is seeking solutions and expert advice a Home Energy Tune-uP should be the first step to resolving their high energy costs. In fact having a Tune-uP done before the HES program would provide the homeowner education on precisely what their home needs to be more energy efficient. A while back I wrote a blog on the occurrence of air stratification in homes. This is when warm and cold air layer in a room. Recently I came across a classic example of this during an energy audit. The infrared image at the right very distinctly shows how the air has layered in this room. 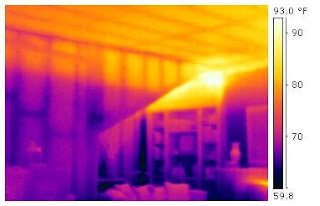 The temperature difference between the ceiling and the floor, over 15 º F.
The second infrared image shows the same occurrence in a connected room. The reasons for this happening are for one physics and the other poor installation of the heating ducts. In Connecticut we heat our homes most of the year. Consequently the heating registers should be located when at all possible in or near the floor. In the two rooms pictured the heating registers were placed in or near the ceiling. The bright spot in the second image is the heating register. With the idea to evenly heat the room the installers placed return air ducts near the floor thinking the warm air will be drawn down by the ducts. Not surprisingly that theory did not pan out. What's more if return ducts could be installed near the floor, they just as easily could have been made heating ducts. This was true in the second room as well. A storage room behind the wall affords ample space to install the registers down low. This is a standard case of physics winning out over mechanics, but by applying a little more mechanics the problem can be resolved. In the room with the high ceiling putting in a ceiling fan will almost assuredly resolve the issue. Ceiling fans are a good energy efficient way to "homogenize" the room air. Running the fan will evenly warm the space causing the heating system to run less often. The second half of the solution would be to relocate the registers. Doing this will be more costly and labor intense than putting in the fan, but will further achieve the desired benefit of a more evenly heated space. 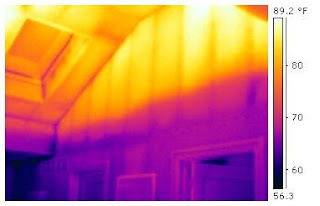 Identifying a problem such as this one would be difficult without the aid of an infrared camera. However an HVAC installer should be cognizant of this effect when placing duct work. In the instances when ducts are unable to be ideally placed suggesting a ceiling fan be installed would be good advice. Layer cake is tasty, but not on a wall. Learn more about our Infrared Thermal Imaging & Diagnostics services. Learn more about our energy audits, the Home Energy Tune uP®. As an energy auditor being conscious of how large the heating system is relative to the homes size is extremely important. After all it is the heating system that is costing the homeowner quite a bit of money to operate. Not to mention keeping them warm. The problem is that most system, especially older systems, are often greatly over sized for the job. In fact it was standard practice in the past to oversize the heating system by as much as 30%! The rule of thumb, not a precise measure, is generally 50,000 gross BTUs of heating per 1000 square feet of living space for older, minimally insulated homes. Today's newer homes can be as low as 30,000 gross BTUs per 1000 sq.ft. or even lower! Getting back to older homes, the house may have a "newer" heating system that replaced an old dinosaur, but the new system was sized by simply replacing it with the same size unit as the original. So the new system may be more efficient, but is still using more energy than needed to provide adequate heat for the home. Another and more important consideration is upgrades to the thermal envelope. In other words has the home been better insulated. Increasing insulation, replacing old leaky windows and sealing air leaks will lower the amount of required heating system BTUs. In fact these improvements should be made first before installing a new boiler or furnace. Consider an example of a home I audited recently. The home was a 1950s split level with 1600 square feet of living space. Only 1250 sq. ft. was heated. A lower level family room was not conditioned, but could easily be incorporated into the heating system with some simple plumbing work. The gross BTUs of the boiler was 172,000. Using the rule of thumb above for an older home, the system should be around 62,500 BTUs for the conditioned space. Adding in the family room would bring the number to 80,000. Quite a large difference between what was installed and what was actually needed. As I mentioned above if the home owners follow the recommendations in the audit report concerning adding insulation and sealing air leaks, it is conceivable that a new system could be even smaller. Get an energy audit. This will provide insight on where the home is most deficient and a plan on where to begin sensibly improving the home cost effectively. Before installing a new heating system improve the homes thermal envelope by making the necessary improvements outlined in your energy audit report. Be sure your heating system installer is considering all the improvements to your home when sizing the new system, not just going by the old system size. There are always variables that can affect the sizing of any homes system. Therefore the rule of thumb is not a substitute for a competent, licensed heating specialist and the proper heating system size estimating tools. It can however give some idea as to where the size of the system should be in relation to the homes size and can raise a red flag for an educated homeowner. As utility cost rise everyone is looking for was to save on their energy bills. The internet, the daily paper and magazines all have tips for reducing your energy usage and expenses. These little bits of energy saving insight are great advice, but are no substitute for a professional energy audit. A full scale energy audit evaluates the entire home for inefficiency. The audit report provides valuable information on estimated costs to upgrade individual components and their expected payoff through energy savings realized. In addition the auditor uses specialized tools such as an infrared camera and or a blower door fan, which can locate unseen and unexpected areas of energy loss. A homeowner simply making repairs based on tips or advice is likely missing the most cost effective upgrades available for their home. Without a plan doing it yourself is shotgun upgrading, in other words scattered without clear direction. For example many homeowners opt to replace all the old windows in their home with new thermal double pane windows. Changing the windows may in fact not yield any appreciable energy savings. Nonetheless many people go for the windows first when energy upgrading. With an energy audit plan it may be revealed that the most cost effective places to spend that window money is on insulation and setback thermostats. Making decision without the advice and expertise of an energy saving professional can merely leave you poorer with no or little energy savings to show for you expenditures. Some upgrades can and should be done by the homeowner. The easiest of these is changing your old light bulbs to compact fluorescents. But don’t expect to see dramatic savings in your electric bill. Lighting constitutes about 12 percent of the average families’ electric usage. This equates as follows; for a $150 a month electric bill, $18 is for lighting. 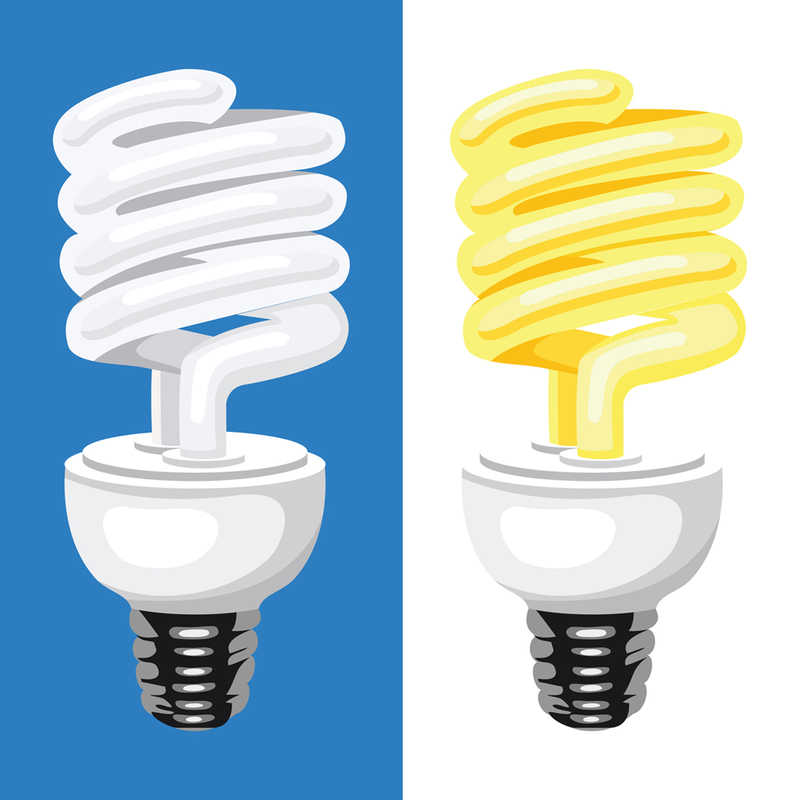 Cfls save about 50-75% over incandescent bulbs. Therefore the monthly savings is $9-13 or $108-156 yearly. Not a great deal of money, but certainly a worth while investment. This brings up the point of energy investments. Most energy improvements are investments, they pay for themselves and then some over the life of the component. What is vitally important is to identify where and what are the best energy investments for your home and budget. A home owner working together with a trained and experienced energy professional can establish the most valuable energy upgrades for their particular home. This would include those DIY projects from the plethora of tips and advice columns. Since the idea of energy improvements is saving money, be sure to find and use an energy professional who will show you where and how to invest wisely. The wire that brings electricity into a home is referred to as the service drop conductor (blue arrow). This is connected to the service entry conductor (red arrow). 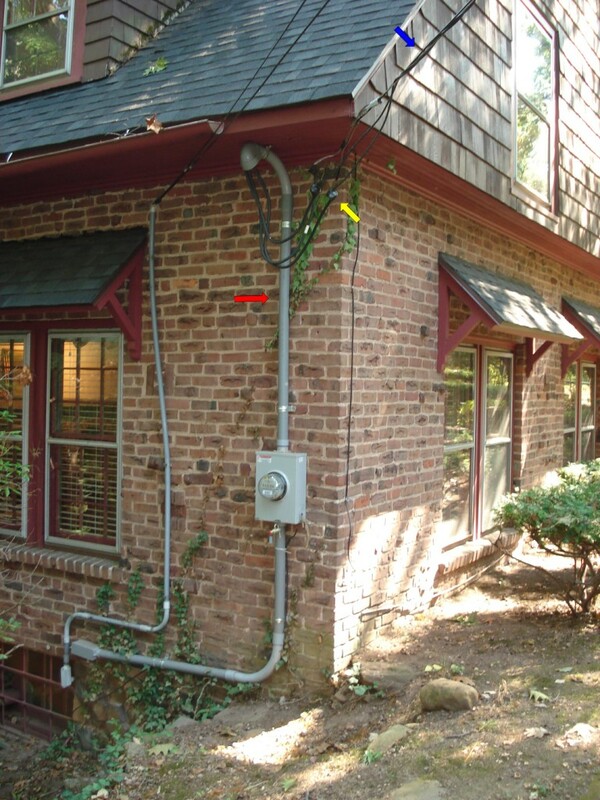 The point at which they are connected (yellow arrow) is most often the demarcation between the homeowners' responsibility and the utility companies' responsibility. The minimum safe height from the ground of these components is 10 feet for the service entry conductor (yellow) and 12 feet for the service drop conductor (blue). This particular service drop and entry was suspect on initial inspection. The lowest point of the service conductor, the drip loop, is less than 9 feet from grade. This can be determined by counting the bricks. The width of each brick is 2 ¼ inches adding a mortar joint brings it to about 3 inches. This method is better than using a metal tape measure to check the height and a lot safer! There are 33 rows from grade to the bottom of the drip loop. 33 x 3 = 99 ÷ 12 = 8.25. This would then mean the service drop is also too low. The margin of his rough estimate (over one foot) is certainly wide enough to warrant further evaluation by an electrician. The service entry conductors' height will likely need to be extended to fall within the safety parameters previously discussed. Taking risks with electricity is never advisable. Minimum safety requirements are in place to protect people from serious injury or death. A knowledgeable home inspector can heighten your awareness of potential problems and spare you shocking surprises after your purchase. When inspecting a 1940s colonial I noticed the roofing shingles had an unusual and uneven pattern of ageing. Viewing the home from the rear, the left side of the roof covering was distinctly more cupped, curled, and dried than the right side, which was fairly smooth. Going into the attic I noticed there was only one gable end vent, which was on the right side of the home as viewed from the rear. This was the side with the better looking shingles as described previous. I then look around on the floor of the attic for other tell tale signs of problems. I noticed the spots on the board in the first picture. Then on the attic scuttle cover in the second. Most often these water spots are thought to be from roof leaks. Actually they are from condensation dripping from the roofing nails. This is caused by inadequate attic venting. Moisture from the home is trapped in the attic and will condense on the cold metal roofing nails and drip. If the moisture content is high enough it can cause mold or mildew to grow on the wood. A very easy way to spot a possible venting problem is to look at the wood surrounding the nails. If there is a black ring around the nails, this indicates moisture is condensing on the nails and the wood is absorbing the water and blackening. Other problems are over heating of the attic, which can cause shingles to dry out, curl and prematurely age. As I saw on the back side of the roof. The solution in this case was to add another end vent and if needed a ridge vent. This should prolong the life of the roof and stop the rain from pouring in the attic. James Quarello is the founder of JRV Home Inspection Services and brings to the company an over 20 year background in industrial equipment installation engineering and home remodeling. Mr. Quarello is a graduate of The Home Inspection Institute of Americas' intensive State certified HI-100 Home Inspector training program. He is also a graduate of Inspection Training Associates (ITA) New Construction inspection program and has passed the National Home Inspectors Exam. James is a certified member of The American Society of Home Inspectors (ASHI) and is active in the local Southern New England Chapter (SNEC-ASHI) where he currently serves as Chapter President. Previous to his position as President, Mr. Quarello spent time as a Director and was the Education Committee Chairman for the Chapter. Mr. Quarello holds Connecticut Home Inspector license # HOI 394. Jims' other qualifications include: • Certified energy inspector and auditor • ITC trained Infrared Thermographer • Nationally Certified Radon Measurement Specialist (NRSB# 8SS0022) • Author of several articles on home inspection and editor of The Homeowners Journal.